We had a great time during our latest Crochet Business Chat Live with Kathy and Lorene! Don’t miss the next one on Monday, November 3rd at 11 am CST in the ELK Studio Crocheter’s Group! Be prepared with your questions! Let’s get started with the notes listed below! 1. How do I figure out how to price my crochet projects? Lorene has a great blog post on just this topic. You can click HERE for more information! 2. I would really love to have mostly a RTS (ready to ship) shop because of the time involved and the stress of finishing a custom order, Is Etsy the best site to use for RTS? If you sell on Etsy, make sure your store is complete with a banner and all the policies are in place. Make sure the “about” section is filled out too. Tell people who you are and what you are selling and most importantly…..why they would want to buy from you! If you are marketing your RTS (ready to ship) products, you can use Facebook (but make sure it’s a business page and not your personal page because Facebook will shut down your personal page for selling items). When you market your products on-line, you have to be ready for that person that requests a custom order too! It can generate some really good income. Katie from KT and the Squid sold for a while on Etsy before she started designing and says that you need to have all your RTS items ready before Christmas. A lot of last minute shoppers are willing to pay more for something that is ready since many shops will be too busy doing custom orders. 3. How does everyone sell their items from a Facebook page? How do people pay when requesting you to make your items on Facebook? You can check out Lorene’s Crochet Business tips HERE. You need to have a few ways your clients can pay you. For many people selling on Facebook, their customers can be local so cash may be an option, but you should always have other options too. You can easily set up PayPal and send your customer an invoice. It’s so easy to use and a great way to keep up with your sales. 4. My main question is: Time management! Where do you get started in the day, since we have soooo many hats to wear. Any suggestions what is effective to manage our time wisely, effective and efficient? Let me say first that YOU know YOU better than anyone and have to figure out what works best for you. Don’t compare yourself to what other people are doing and think that is the key to success. I know Lorene and feel pretty sure we may do some things the same way, but we also work differently from each other. It doesn’t make it wrong, it’s just different. Do you work better creating a list and checking it off or do you need to set up a calendar with the entire day scheduled, or maybe you thrive from some other type of work list? For me, I’m so creative in my mind that having a set structure that’s written down to follow usually doesn’t work, and when I can’t follow it, I always end up feeling like a failure. I quit doing lists a long time ago just for that reason. I do know people that thrive from lists and can’t function any other way. Having said all that, there are certain days where I know when I need to do computer work and when I can actually crochet. In order to be successful, consistency to any type of “structure” that works for you is crucial. Managing social media, blogging and crochet is a BUSINESS. Don’t sell yourself short or let anyone else tell you that it isn’t. I probably work around 60+ hours a week, and I’m sure Lorene works just as much. Is it worth it? That’s really for you to decide but with hard work and dedication, you can do it. Remember….consistency is the key. Don’t publish on your FB page a ton one day and nothing for the next couple of days. That won’t work at all. Your fans and potential clients will expect more. People by nature are very habit forming and expect you to be the same way and if you aren’t….well, they are likely to fall off and leave you. Not to mention, if you want to have good reach on Facebook, you better keep in contact with your people or they won’t even show your fans your posts anymore (That’s another topic entirely). 5. When doing a custom order, do you have the customer pay before you begin the project? Lorene and I have two different opinions on this but both of them is at least making the customer make an investment in the project. Lorene recommends charging half up front as a non-refundable deposit, to cover the cost of yarn and your time. I say get the whole amount up front and would only consider half up front if it were a very large project like maybe a blanket. Otherwise, I’m all for getting it up front. I want to take a minute to talk about the business relationship with your customer. If you have someone that doesn’t understand why you require payment up front, it’s so easy for us to think in our minds, “You can’t go to any store and get something and pay for it later, so why should I let you?” We want to convey that message to them for sure but do it only in your head. Respectfully explain to the customer that your business policy is to receive the monies up front and you really can’t make any exceptions to the rule then tell them why they would want to pay for it up front. Quality products each and every time. Customer satisfaction is guaranteed. (That doesn’t mean if she decides she doesn’t like the color it can be returned). I would probably have some type of business policies already in place and written down that’s easily accessible for your customers so they know going in what they can expect. One thing that came up in conversation was what if the customer purchased the yarn. Okay, let’s talk about that for just a second. If you want control of your business, don’t let the customer have too much say so in their crochet item as far as buying the yarn for you. Let them tell you what they want (blanket, hat, scarf, etc.) and then have a list ready of what yarn works best for that particular project and maybe a color wheel of the colors you already have in stock or can easily access. If you let them buy the yarn for a blanket, what if they buy a yarn that really isn’t designed for blankets or they don’t buy enough and here’s the best one yet….they don’t think they should pay you as much because “all you did was crochet”. What are you going to do then? Also remember, if your customer requests a luxury yarn….price accordingly. Quoting a price of a blanket using Red Heart Super Saver isn’t going to be the same if you were to use a more luxurious yarn right? 7. Is less variety of items to sell better? I make mostly props and hats but there are so many different designs/projects on my wish list! If making props and hats is what you are good at then you should stick with it. When you start to diverse too much, you really aren’t developing your brand. Plus, what if you don’t like making baby items (which I don’t) and then that’s what you end up doing ALL THE TIME to meet customer demand? Don’t be in fear that someone else that makes those baby items are going to take away from you because they won’t. I make adult accessories most of the time and that’s what I’m good at but more importantly….it’s what I love. You have to make things that give you a big ole’ smile when you’ve finished or else what good are you doing? I’m not saying to not ever make something different at all because even I make a few things out of the ordinary sometimes like a rug….. but Burger King is known for the whopper and not seafood just like I’m known for adult accessories and not infant crochet items. Be comfortable with who you are and embrace it! I hope you’ve enjoyed today’s Chat Live notes and will keep coming back for more! In order to utilize our Crochet Business Chat Live time wisely, I’m asking you to review the previous chat notes too so that we won’t have repeat questions during our session! Have a great day. Be blessed! So happy to announce a new addition to Dear ELK Studio! Are you interested in turning your crochet hobby into a business? Lorene, from Cre8tion Crochet, and I would love to help you. 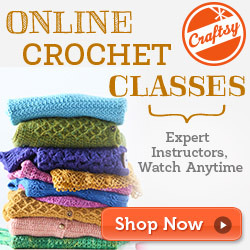 We had our first Crochet Business Chat Live session this past Monday and had a great time. Several people joined in and had great business questions about the crochet industry. Every Monday at 11:00 cst, Lorene and I will meet you in my ELK Studio Crocheter’s Group. All you need to do is click the events tab at the top of the group page and find us. If for some reason you can’t make it, don’t worry. I’ll be creating this blog post with our chat notes weekly to catch you up! 1. I’ve been selling here and there per order by family and friends and I was considering making a Facebook page or opening a shop on Etsy. What would you say the first steps are or some important things to take into consideration? Establishing a business Facebook page is a good start to begin getting your name out there. If someone wanted to buy from you from your FB page, you can sell via Etsy or PayPal and just send them an invoice. Look at the thread of Lori’s and see the comments about driving sales to Etsy. Make sure you do not sell through your personal Facebook page because they (Facebook) can and will shut you down. Open a business page of your own. Be very careful with your prices from the start. Do not under charge! When you are selling local, you may need to consider your area (still not under charging) but take a look around Etsy and find products comparable to yours. My perspective: The advice given on this question is a good place for someone wanting to branch out. You want to already have in mind some sort of direction and path for your business. I see too many times people getting into the crochet business without any real direction. Remember the keyword is BUSINESS here. I know it’s a great way for stay at home moms to earn some extra money, but it’s still a business and needs to be conducted as such. Find out the Facebook rules for sharing and getting people to “like” your page. Facebook is making many changes and baiting people to “like” your page is something frowned upon. You can read this article HERE for more information. 2. I have a lot of books that show how to work a “pattern” stitch, like an arcade stitch. If I’m using a pattern stitch from a book, would I be able to use the instructions for that specific stitch in a pattern that I write, or would I need to reference the source of the stitch and then provide the instructions for my specific use of the stitch? Stitch patterns are not copyrighted. However I use my own wording because that is what my followers are used to. You do not need to site the source for the stitch if you use it IN a design. If you are selling finished items than you don’t ever have to give anyone credit, though it is nice when people do give the designer credit, it is not mandatory. My perspective: Stitch patterns, designs, copyright law, infringement….Oh how confusing sometimes. If you want in the crochet business, then know this stuff. Research what you can use, what legally right and decide what is morally right too. This topic could be an entire blog post of its own, but I’ll give you one designer’s perspective and how it affected her. Read what Kim Guzman has to say about it. 3. I have an Etsy shop and blog set up in my business name, but that’s as far as I’ve gotten. Should I concentrate on one over the other right now, and if so, which would you recommend? I also have my Facebook business page and want to get myself more out there in social media too. I just don’t know where to start. Before you get yourself out there… you need to have a product. There is nothing more detrimental than inviting people to like your Facebook page or follow your blog if you don’t have anything there for them to see. I have found that blogs are not that helpful for selling finished items, although they are great for pattern designers. (This is from Lorene’s personal experience). We aren’t say that it can’t be done but it just may take longer for success. Focus now on building up stock, taking great images, and posting them on your business Facebook page. Once you have a decent amount of posts of items for sale then start to promote your page. Do not promote your crochet product in crochet groups… crocheters do not buy crocheted goods. (At least most of them don’t). My Perspective: Remember, social media isn’t just Facebook! It’s Pinterst, Twitter, Instagram and Google+. Does that sound exhausting? It can be at times but it will be the key to your success. You need multiple ways to reach your audience and what works for Facebook may not work for Instagram. Each social media site draws in potentially a different audience. You need to learn how each works. (That’s an entire different blog post too). Lorene has great Crochet Business advice on her site too. Go check it out! There were other questions listed with great answers from me and Lorene, but these were just a few to get you started. Do you want to join the Crochet Business Live Chat? Don’t miss out! The next one is scheduled Monday, October 27th at 11:00 cst. 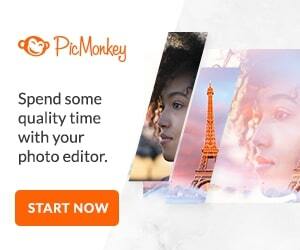 Click HERE to join the group! Welcome to the debut of Dear ELK Studio! I’m really excited about starting a “sister” blog to ELK Studio – Handcrafted Crochet Designs. Why start another one? Dear ELK Studio is more for the crocheter that wants access to the latest techniques, tips and crochet information. You will get daily questions asked and answered on the Dear ELK Studio Facebook page along with a weekly blog post compiling all the questions so they won’t get lost in the Facebook news feed abyss. Don’t forget to subscribe to the Dear ELK Studio newsletter! It’s different from the sister blog’s newsletter! Click HERE to subscribe! Crochet Community Sales – Many of my designers friends have specials on promoting a paid pattern for free or just a sale on a newly listed pattern! You can check it out here to see what’s going on in the crochet community! I’ll try to keep it up-to-date. Designers can also contact me for consideration of promoting their sale by sending me an email. Charity Showcase – You know I have a heart and passion for charity work. I personally feel that if I can crochet a hat and give it to someone in need, I should. I want to take a moment each month and highlight some of the great and “safe” organizations that you can donate too when you have the time. Dear ELK Studio Q&A – Receive a weekly post on the questions you’ve asked via email or on the Facebook page. I’ll try to discover those answers that always seem to be difficult to find or maybe you are new and just need help! Crochet Techniques – Receive a weekly blog post on me featuring a different crochet stitch or maybe even a tip. Sometimes I may feature my project to show you what the stitch looks like or will do a photo tutorial. When possible, I’ll link to you some of the best crochet video tutorials in the crochet community! I also plan on doing a monthly “Yarn Discovery” on my sister blog, ELK Studio – Handcrafted Crochet Designs, discussing a new yarn that either I’ve never used or maybe one that you didn’t know about! Eventually Yarn Discovery will move its way over here but for now it will start on the sister blog! Be on the look out for this one! It will be a blast! I’ve got a few other small things planned but what do you think so far? Is there a specific feature or something that you’d like to see either weekly or monthly from me? I’m always open for suggestions because after all, this blog is for all of us to share the crochet love and learn a little something along the way! If you follow me at all maybe on my sister blog, ELK Studio – Handcrafted Crochet Designs, you know that I have a heart for charity. I actually started a charity about a year ago called ELK Studio – From the Heart and we have an awesome group of people who love to crochet and donate their projects! Now onto the highlight of the blog post. I haven’t met Tracy from Crochet for Cancer face to face but have had the pleasure of speaking with her on several different occasions. I actually designed a summer hat this year called Southern Comfort in honor of all the chemo patients in need. You see it was when her mom was diagnosed with cancer and she received some hats that Tracy felted called to “do something”. She said she wanted to, ” Give back… help someone else like we were helped. So began our journey making and donating hats, scarves and lap blankets to cancer patients.” I’m sorry to say that Tracy’s mom lost her battle to cancer this year but so proud of Tracy for continuing on this wonderful journey of ensuring chemo patients have their needs met. Her organization is growing by leaps and bounds with chapters starting and developing all over the United States. If you would like to find out more about Tracy and her organization, you can read all about her journey on her WEBSITE and follow her on FACEBOOK. I appreciate all the hard work it takes to keep an organization like this running. I can only pray that she and all the wonderful crocheter and knitters continue to bless others with their talents. If you’ve never donated, you should try it. I’m sure there is some local organization that would love your projects, or contact one of the local Crochet for Cancer chapters for more information. 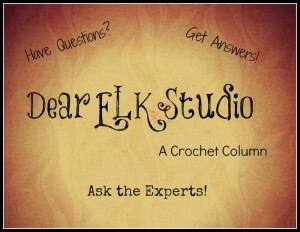 It’s time for another edition of Dear ELK Studio – A Crochet Column! I hope you find some information that will help you become better in your crocheting endeavors! If you have questions, just scroll to the bottom of the page to see the comment section. I hope you enjoy! Sign up for the Dear ELK Studio Newsletter! Click HERE to subscribe! All those abbreviations in patterns are confusing me. I typed a list of those found but still ‘fall’ over new ones and cannot clarify. plus: one pattern comes in US-English, the next in UK-english – I guess, I need some more special language courses (my mother-tongue is German) Any suggestions? 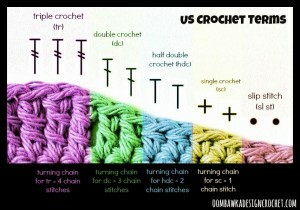 Here is an image of the basic crochet stitches. I hope this helps. Also, Oombawaka Design is so fabulous because she’s taken the time to create charts that take U.S. terms and translate them into several different languages. You can check all of them out HERE. What is a turning chain and how do I use it? Using the turning chain can sometimes be confusing but are necessary because they help you reach the height of your next row. Here’s a tutorial from Oombawaka Designs that will help you! How does one figure out where my first stitch goes after turning? I had problems with this when I first started too. Don’t worry because once you figure it out it will be so easy. One thing you need to remember though is that although these are the “standard” instructions, the designer can always override this to make the pattern come out right. Oombawaka Design has a tutorial showing you which chain to work in once you get started with your projects. Can you gives me some suggestions on joining my granny squares. There are several great designers out there that have made tutorials. I’ll just give you their links below. How long should my tail be at the end of a project? The length of the tail should be long enough to allow you to thread it on a yarn needle to weave in the ends. I tend to leave my yarn ends about 5-6″ in length because once I have weaved in the ends, I can always cut the excess. If you do have a very short yarn end you need to weave in, one trick I use is to insert my yarn needle into the project where I intend to ‘weave’ my stitch before threading the yarn through the ‘eye’ of the needle. I do this in multiple directions and insert the needle and re-thread for each step of the weave. I would like to thank Rhondda from Oombawaka for contributing to Dear ELK Studio – A Crochet Column! She has great designs, tutorials, advice, tips and tricks for the avid crocheter. Take a couple of minutes to go check out her site to see all the goodies! Thank you Rhondda! If you have questions, please leave your comment in the space provided below! It’s time for another edition of Dear ELK Studio! I love this column and look forward to writing the blog post every time. Do you have crochet questions that you’d love to have answered? 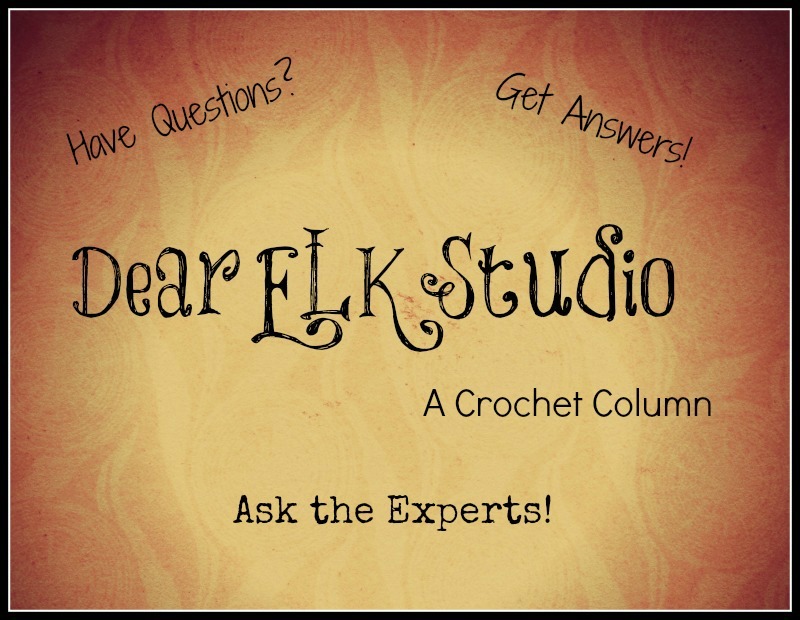 I asked the fans on my ELK Studio Facebook page did they have any Dear ELK Studio questions and hope you enjoy the edition this week as the questions were geared more along “my style” of crochet. How did you decide to make those gorgeous southern hats? I was making a hat one day and wondered if I could actually make a brim. I turned to Google and searched for “hat wire”. It took me to Judith M. Inc. Supply and saw the term millinery wire. I researched a little and found that you could use the millinery wire to hold the brim in place. BINGO! I ordered the wire and well…..they ya go. After a few months of playing around with the hats, I saw a beautiful hat designed by the famous Philip Tracey. I immediately ordered the Sinfonia yarn from Creative Yarn Source. How do you choose your color combinations? Color wheel? Yarn stash? I can’t say that I’ve ever used a color wheel to decide on my projects. I see them all over from other Facebook pages sharing but it’s not my first choice. I have to say that I usually have specific colors in my mind for each project before they even get started. Sometimes I can use my stash but often times find myself either in JoAnn’s, Hobby Lobby or buying on-line from Creative Yarn Source. How many times do you test your own pattern before sending it out to other testers? It’s probably safe to say that I make the hat at least 3 times if not 4 before I have others test. Some of my free patterns aren’t sent to testers unless I feel there are questions that may come up or if I need help in how to word a part of the pattern that I feel could give others trouble. However, my paid patterns are tested just for my own reassurance and having different sets of eyes on a pattern before it’s release for purchase is always wise. As you read in the first question, some of my inspiration comes from looking at hats designed by people like Philip Treacy. I have several crochet dictionary books and will look through them and just sit down with some yarn and start playing around with different stitches and see what happens. Sometimes it works while other times I sit and frog something that took me 3 hours to create. Do you have a favorite type of yarn? Weight? Brand? My summer time yarn is definitely Sinfonia Cotton Yarn. It’s a mercerized cotton which is great for my hats because I use the millinery wire. I didn’t want something that would stretch and the Sinfonia worked perfectly. This past winter my “go-to” yarn was Red Heart Soft. I love the shimmer of the yarn and it seemed to work great with all of the projects I had going on at the time. I’m sure it will be used again on the upcoming winter projects. I hope you’ve enjoyed today’s edition. Please feel free to ask a question! !